Do you want to make money from your blog? If yes that means you must rank it on Google’s first page. This is what I have been doing since I started blogging. If you search on “how to make money online in Nigeria”on Google search you’ll discover that this blog you are reading ranks better in fisrt. It has been the top ranking blog on that very competitive keyword since 2014 till date. I also run a milti-topics blog – infoguidenigeria.com and the blog ranks better in many high search volume keywords. You may want to ask, what are the secrete? How will I be able to rank my blogs on Google too? Don’t worry, I’ll share what I did to my blogs with you in this article. Why should you rank your blog 0n Google’s first page? If your blog is not among the first 10 blog on a particular keyword, you’ll not get organic traffic. The fact remains that, any blog that sits on the second page of google search is a dead blog. Hardly will someone leave the blogs or websites on the first page of search result to visit the second page unless the user is doing deep academic research. In my reasoning, if you want to hide anything in this life that no one will ever see it, then put it in the second page of google search…trust me, no one will ever see it. What is organic traffic and why is it important ? Organic traffic simply mean web visit to your blog or website from search engines such as google, Yahoo, bing, yandex etc. 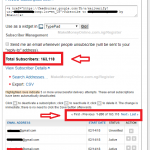 Organic traffic is very important for a blog that want to make money. All monetization networks including google AdSense respects organic traffic. The reasons why organic traffic is the best is obvious. If someone search on google ” Shopping List of Baby things to Buy” it therefore means that, either the person is pregnant, about to become a mother or about to become a father. It also means that the person also have money to buy the baby things and was just searching for what to buy. The implications of this to internet marketing is that advertising network like Google AdWord can there serve contextual ads related to the search interest based on the keywords. And because the ads are highly related the search interest, there is a higher rate that the person will likely buy from the ads (increased conversion). This scenario is applicable to all other advertisers. That means that when you have organic traffic, you’ll increase your chances of making more money because your blog will be highly respected by brands. And to get organic traffic to your blog, you need to make your blog visible to search engine user. Whenever people search for something on google, they will like click on the first, second or third result. Some curious users can extend to the 10th site in the first page if they have enticing meta descriptions. Now that you know the importance of taking your blog is googles first page, the next thing is to learn how to do it. Yes, learn how to rank your blog on googles first page. And that’s what this article is all about. How to rank your blog in googles first page. There are many factors that determine blog or website ranking in google and other search engines. All of these factors are collectively called “Search Engine Ranking Factor“. These factors determines the Search Engine Result Positions (SERP). See the practical ways to rank your blog on googles first page. 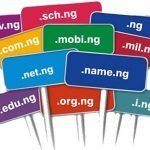 A custom domain is a unique URL address to your blog or website. This defines your brand and help others including search engines to know that you are serious in what you are doing. A keyword rich domain Mame is beneficial to search engine ranking. 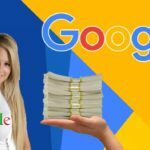 See for instance, the url of this blog you are reading contain the keyword ” make money online” has in one way or the other contributed to its high ranking in google. Web hosting significantly influence the speed of a blog. And google consider blog’s opening speed when it comes to ranking. A blog that is fast ranks better than a blog that is slow. The reason this is so is that google want to give the best user experience to her search engine users. This is the most reason why they introduced accelerated mobile pages to increase website opening speed for mobile users. To make sure you maintain a high opening speed for your blog, I’ll advice you choose a good web hosting while creating your blog. If you already have a blog, do yourself good to move your blog to a Bluehost. WordPress is the most popular content management system. It help you build awesome websites and blogs. The good thing is that WordPress is SEO friendly. It allows you to set SEO friendly permalink, generate SEO sitemaps. WordPress also have a ping feature; it notifies the search engines once you publish new contents. Apart from all these, WordPress also have various inbuilt and third party SEO plugins that will help rank your blog on googles first page. I made mention of blog speed before in relation to blog rank on google. Themes contribute significantly to the speed of the site. If you want to rank your blog in Google’s first page, make sure the theme you are using is SEO friendly (fast). You can test your theme and site speed using free google page speed checker or gmetrix. A permalink is a link to articles or pages on your blog. A good permalink should be short, devoid of stop words, contents keyword, and devoid of characters. The good thing is that if you are using WordPress on your blog, you’ll be able to set SEO friendly permalinks with ease. When your permalinks are SEO friendly, it will be easy for search engine crawlers to navigate your blog links. A blog sitemap contains the whole site structure. When you submit your sitemap, you allow search engine bots to navigate your blog pages and articles easily. Sitemap also allows search engine bots to understand your site contents and what your blog is all about. Once the search engine bots understand your content it becomes easy to serve your site to search engine users when they use your targeted keywords in search results. Unfortunately many bloggers shy away from this. 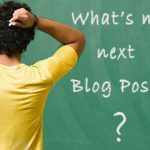 A blog title defines what your blog is all about while a meta descriptions give a detail description of your blog and tells the user reasons why they should click on your blog link. Once you setup your blog title and meta descriptions, you’ll help the search engine bots to quickly understand your blog. It also help in increasing your blog click through rate if it appear anywhere in google search result. Many bloggers make serious mistake by building a blog or creating contents around topics or niche that don’t have readers. Also, your blog will never rank in Google’s first page if you build blog on a very saturated keyword. That is why you need to do proper keyword research before you start a blog. By so doing, you will have the opportunity to discover keyword that will be easy to rank in Google’s first page. This is the most important point to consider of you want to rank your blog on Google’s first page. In a blogging world…content remain the king. Most times, many bloggers chat with me as ask…How can I improve your blog ranking in Google? When I look at their blog, I discovered that they are operating a copy and paste entertainment blog. If I may ask, how do you intend to rank well on Google’s first page when you have the same content as hundreds of other blog? Do you think google is insane why ranking you higher than the original publisher of the content? Apart from suffering from lower ranking, Google may even penalize such blogs for duplicate content. So if you want yo rank high on Google’s first page, make sure you sit down and product qualify contents that solves real life problems. It is proven that articles with rich media contents ranks better in search engines than articles without. Apart from writing only for search engines, a goof articles with illustrations and or video improves user experience on your blog and Google know about this too. My advice is that you should use at least one image on your articles before you hit the publish button. If you create illustrations or videos, that’s a plus to your blogs ranking. While using an image or infographics in your blog post, remember to label it properly and use the ‘image alt tag’ for search engines to understand since they can’t read image or pictures. This involve making your page or article to be discovered by search engines easily. The best way to achieve this is to include your target keywords on strategic positions on your post or page. Below are the most important places to use your keywords whole writing. Detailed Contents that are well written with over 1000 words count ranks better than shallowly written articles with 200 words. So if you want to rank your blog on Google’s first page, then prove resource based articles. Like myself, I’ll use one week to write one article. Don’t rush to produce and publish low quality contents. This article you are reading is over 2000 words. While writing, do proper research and include the necessary points needed to treat the topic religiously. Both inbound and outbound links contributes significantly to sites ranking. See for instance, my home page makemoneyonline.com.ng has nothing less than 50 links to other websites. These links allows search engines to understand that your blog is a part of a generic world wide web. I pity most bloggers who don’t link to other sites thinking they can become the only tree in a forest. The World Wide Web does not work that way. Instead its a connections of websites and servers. So giving external links to other website when producing contents will help you rank your blog on Google’s first page. Apart from external links, also build quality internal links to other articles and pages on your blog. For a recommended SEO perspective, each article of about 600 words should contain at least 1 external link and 3 internal links. This is a link from other blogs or websites to your blog. This is called external links or inbound link. Google considers the number of links you get from other website as a ranking factor in SERP. There are many ways to get quality back links to your blog. If you publish relevant articles, other people will mention you or your blog in their article. By so doing, they’ll likely link to your blog. Other strategies to get quality back links are via guest posting and infographics. Google and other search engines have now considered social signals in search engine ranking. A social signal is a measure to which a blog post is shared on social media such as Twitter, Facebook, Instagram, Google plus. Interestingly, you can improve your blog’s social signals by sharing your blog post as many times as possible on social media. You can as well ask your blog readers to share your posts. Give them an easy way to do that by using social share buttons on your blog. Whenever you update your blog, you don’t only give your readers new article to read but you are telling Google search engine bots to visit your blog that you have something new. By updating your blog regularly, you are keeping information on your blog a fresh as possible. This is what Google like. Regularly updated content is always viewed as one of the indicators that the blog is relevant. So make sure you update your blog with new contents and improve your old articles regularly if you want to rank your blog in Google’s first page. That’s it on how to rank your blog on Google’s first page. If this post is useful to you, kindly share it and link to us. If you have other useful tips not mentioned here, kindly share with us in the comments sections below. Please sir I really want to make money online from my blog. I have read your articles and I love it. I’m just beginning. If I start blogging, how do I get paid? Please direct me through my email. And can I have more than email address? Interesting this is really helpful sir. Please is it possible to change my premalink without affecting my previous post? Hi David and others, do not change the permalink of an already published post unless you are ready to do a 301 redirect to the nee url. Else, it will lead to a 404 error. Hope that helps. Thank you very much for your write-up. I have been looking for this kind of information on the web for a long time without the one that is relevant to like the one you wrote here. Having read your article and digested the contents, I have two questions for you sir. 1. How do I use Google page speed checker or gmatrix? I need further information about this. 2. How does someone submit one’s blog sitemap to Google? Hello Taiwo, I am happy the article was useful to you. Sure I will soon publish another guide on the topics you mentioned. Regards. Wow, great article sir. You nailed it down here big time, I love this article, 😎. It is a privilege for me be here today. I also started a blog after reading several of your posts, then I started like that, I’m somehow buoyant of blogging knowledge. I already read about seo, contents writing strategies with keyword research. And I can see it really helpful. I used this tactics I read from you to boost my Alexa rank everyday by 10,000 digits through social share and seo. Have more auction to function here well. I dab for you jooor!! !